Hydro Foam Soap - Ultra high foaming action Ideal for foaming guns with built in gloss enhancers. Premium lubricity, safely floats away grime and soil leaving a bright clean surface. 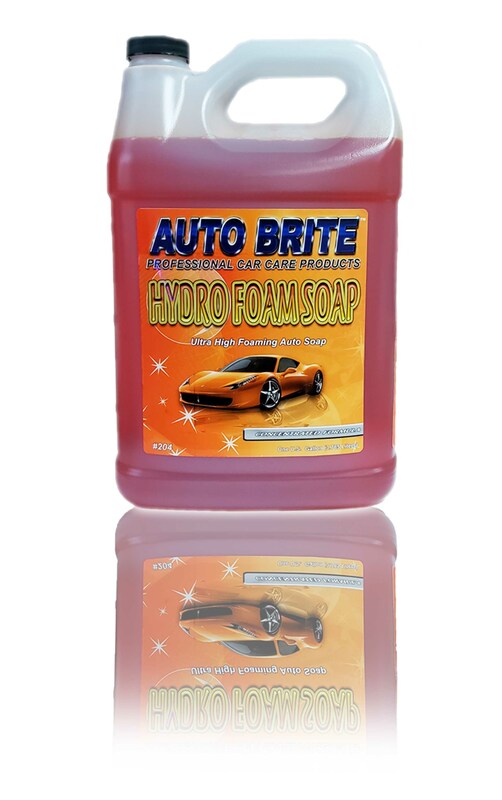 High foaming action and exotic fruit fragrance combine to make this product ideal for hand car wash businesses. The foaming and fragrance features can be further enhanced when dispensed through a foam gun. Dilution ratio is 200:1 with water. Also Available in 5 Gallons.